Copywriting can happen anywhere – from blogs to cereal boxes. It includes the whole world of marketing words. Conversion copywriting helps businesses build their business. Conversion copywriting is about getting people to say “Yes” and generating more leads and buyers. It measures results to see if something converted or not. Map out actions based on context and location – email, Website, blog, etc. Hey everyone, this is Garrett again, and welcome to another 10X Marketing Formula exclusive interview and today I have the pleasure of hosting Joanna Weeb. Joanna is an amazing conversion copywriter, she is the creator of Copy Hackers, co founder of a tool called Air Story. She’s an absolute authority on copywriting and conversions. So we’re gonna talk to her about why people click. Welcome to the show, Joanna. Thanks for having me here Garrett. It’s awesome. Yeah, so maybe just kind of give us a … Maybe two part question is, kind of give me a little bit of background on kind of how you got in to conversion copywriting and then maybe also, what is conversion copywriting? Sure. Yeah. Initially I was a creative writer, that was my title, at an agency. And the idea there was, “Yeah, you’re going to be very creative,” which sounded really fun. Problem is, that when it came down to measuring things … So this was about 15 years ago. And Google Elements was around and there were lots of little tools cropping up here and there, but it wasn’t the digital atmosphere that we have today, in marketing today, where everything, everything gets measured, or as much as you can possibly imagine measuring, you try to measure. At least you don’t go through life not measuring things. But this was 15 years ago, and it was kind of just a little easy to get away with not measuring that much. You’d measure a few certain pieces at the agency, but not everything. So a lot of the writing that was done, that I did, was allowed to be creative, without really thinking about how to get people to say yes. It was mostly like, “Let’s just come up with creative ideas and then we’ll execute on them in a creative way.” Which is nice and fine and there’s definitely a place for that. But we were there to help businesses build their businesses. And analytics was starting to become a thing. People were talking about Google analytics and conversion rate optimization was still really, really new, but it was at least a discussion that you were starting to have with your clients. Ad it became really clear to me really quickly, that this creative copywriting I was doing, where things were … I know what was happening there. I would sit at my desk and dream up something, and I had fiction books next to my desk, to inspire me. Like open one up and feel something and then go write something. And again, there’s still a place for that, but it wasn’t … I know, because I was doing it, that it wasn’t there to get people to say yes. So I started to do a lot more looking in to, not writing but copywriting, and it led me down this path of more direct response copywriting and reading stuff like Breakthrough Advertising by Gene Schwartz and these other, older books. Started kind of diving in to them and then applying what I was learning around the same time that we were starting to do more paying attention to the metrics. And things looked more interesting. Clients got more excited. So it was around that time that I went over to Intuit, a huge tech company where there was a big push for measuring everything of course, day to day data, and that’s where I started to work with conversion teams, and people who were, their whole job was to optimize funnels and things like that. And that’s where, for me conversion copywriting was born. Where it combines the user experience of what’s happening online and on mobile, with the psychology of decision making, but really going back to the foundational stuff. Still peppering in newer stuff as you learn it, because although humans don’t necessarily “change”, there are still different behaviors that are happening as the world changes around us. So taking all of this stuff and using it to get people to say yes, using only your words. And then of course, measuring to see if it actually worked or not. That’s really how I became a conversion copywriter, how we made it up by pulling all of these pieces together. And it is kind of [inaudible 00:04:26] in general, yeah. No, I love that. I mean, I have experience in one of those, in tradition advertising when I got my start in my career as well, and it was, creative was really important. And then measurement kind of, once you start to be able to measure things, you have to look at things differently, because results really become king, because they’re actually easy to measure nowadays. So what would you say is the difference between conversion copywriting and then copywriting in general? If you kind of had to boil it down in to a quick one versus the other. So, conversion copywriting is copywriting that is going for the yes. And I say that, I think that’s … I’ve been saying that for a little while. Aaron [Orendorg 00:05:09] said something like that a little while back now. I said, “Yeah, that sounds about right.” And now, it feels like it’s still a little soft. It’s still trying to be palatable for people. The real thing is, we want to convert, we want more leads and we want more buyers. That’s what conversion copywriting is about. It doesn’t mean that it doesn’t belong in different parts in your funnel, but it is, “Okay, you want to convert some people today? Let’s use your words. Like let’s see down and do exactly that.” Versus copywriting which can happen all over the place. People who are involved in blogging of course, as you know, are still often referring to themselves as copywriting. Copy as a thing is like the copy on a cereal box, which is meant to inform you rather than get you to say, “Yes.” Like there might be copy on the front that’s trying to get you to buy it, but the stuff on the back is still called copy. So really the whole world of marketing words that we’re living in, and words that journalists use, that’s copy too. Copywriting is so broad and kind of vague, it applies to everything. For me, it’s less about conversion copywriting versus copywriting, and conversion copywriting is like underneath the bigger umbrella of copywriting. You have this world of people who just really want to push their words hard, to get prospects to turn in to customers, and that’s what conversion copywriting is about. So what motivates people to go for the yes? Whether it be to click, to try something, to buy something. Whatever that goal is. Yeah, yeah. I mean, there’s lots of formulas that have come up along the way. I know Marketing Experiments has their conversion formula, which can be very useful. A big part of that is motivation, which tragically, we can’t do a lot of motivating with copy, but you can take someone’s motivation and turn it in to something. So it’s like, well what motivates people to click, try and buy. Of course, the biggest part is gonna come from inside of them, and the best we can do then, is make sure we understand what’s going on inside of them, what brought them there today, at that moment, which one of my favorite questions asked in a survey, a long answer question, is, “What was going on in your life that brought you to …” And then it might be either that brought you here today, or that brought you to look for a solution like ours today, etc., etc. but it’s really what was going on in your life. And then, when you get answers to that, you can get in to what motivates them to at least show up on the page and then once they, once you know why they’re coming to the page, boom. You can make that your headline and then you can pull them down from that place, to a place where okay, you’re inside their head now. You’re working through what they’re feeling, and then and only then can you get them possibly near a point of actually saying, “Yes, I’m going to click this button, and yes, I’m going to do it.” Now people will click buttons just because they’re there. We did this whole summer of buttons test. Actually, Co-Schedule of course was a part of it. We did this big test one summer on a whole bunch of different websites, testing button, button, button, button. And of course, if you put a button up at the top of the page, people will click it. And if you don’t put the button up at the top of the page, there is nothing to click and they’ll keep reading. You can make a button bigger and more attractive and they’re going to click it. So there’s lots of … People want to click things. Mostly because they just want to move through life and get their problems solved and sometimes they’re just staring blankly ahead, not really paying that much attention. So lots of things. We can see that lots of things will move people to click, but those are rarely going to turn in to qualified clicks. You just really moved all of your work on to the other side of the button. So if we keep all the work before that first conversion, not all the work, but the work that has happened … And we talk about of course, the stages of awareness, which I don’t know how much you’ve talked about already, but for us, when we’re looking at how to get people to say yes, to click, to try to buy, we want to think about first their starting point, that’s where that question comes in, that survey question I just mentioned. As well as the five stages of awareness. So if you can identify which stage of awareness they’re in, then you can identify how far away they are from the point of buying. How much it should be all about just clicking first, then trying the product and then buying the product, unless there’s no trial available, etc., etc. But yeah, we have to always back up with that question and ask more about what’s going n in their head, how much they know about their pain, about solutions to their pain, about our product as a solution to their pain and then our product as the solution to their pain. So people like to, and I definitely jumped in to taking [inaudible 00:10:01] persuasion, techniques that he talks about, and trying to apply those on any page you’ve got. And they might need a little bit of a lift, all right? You can put social proof almost anywhere and get a very minor lift in conversion. Okay fine, but you got a little one and that’s good and let’s do incremental, blah, blah, blah. But a lot of the persuasion techniques that we see are these triggers that you hope are the things that are gonna make people buy. Those really happen at the point of purchase, like when we’re at the far end of the awareness spectrum, when they’re really at the point where it’s like, “Okay, I’m aware of my pain, I know solutions exist, I know yours is the solution for me. Now tip me over. Now get me off this fence and on to your side.” And that’s where persuasion techniques like [inaudible 00:10:49] do really well. But further back in the funnel, those techniques we find are not as effective as just understanding the stage of awareness that they’re at, understanding the actual problem or pain that brought them to that place, where they went seeking out a solution today, and then moving them through how they’re feeling, using kind of old school, copywriting frameworks. So you’re saying … I guess, how do you think about that? When you approach that and you’re at the beginning of the funnel, let’s say, versus somebody at the end of the funnel. So you’re saying that you wouldn’t use those five stages of awareness at that place, or you’re just going to recognize where they’re at? Can you unpack that a little more? Yeah, they map out well to the funnel, right? So the five stages, way on top of the funnel, yeah. You’ve got your unaware person, or your newly problem aware person. Then you want to move them through all the stages, down. All I’m saying is, once you get to the bottom of the funnel, great. That’s where [inaudible 00:11:45] stuff works really well. That’s actually where a lot of conversion tests play best, because there’s all of … The motivation stuff is taken care of, right? People are motivated by that point, and all you have to do is move them from them mentally saying yes, to them actually saying yes. Which is such a small river to have to cross. Like it’s so minor, it’s not a big, big thing. But it really does come down to … And I say this because when I work with people who want to optimize their funnel, or optimize their copy along the funnel, I repeatedly come in to conversations at the boardroom table review, where it’s like, “Well, I don’t get it. We have an incentive here for them to try our product. Why aren’t you talking about that? Like why is the call to action up here, for this landing page, for people who are problem aware, why isn’t it to download our free trial?” And the answer is purely because they’re not ready for that yet, because they’re problem aware, we have to get them solution aware. That doesn’t have anything yet to do with you giving them a trial. We’d have to start writing a long form sales page for that and that’s a different strategy. So the reason I mention this now is because, the marketing world loves persuasion techniques, like adores them, right? Like, “Oh, let’s throw that little bit of glitter on the page.” And when it comes down to it, they only work sometimes, and bigger, stronger, smarter, really old school stuff continues to do most of the heavy lifting, from what I’ve seen. And we have to think more about that. So I think this is really interesting. I’m gonna actually … You kind of referenced the button test and how Co-Schedule was a part of that. And I remember one thing that you said to me at that time, I think what we were talking about was trial to paid conversion, so talking way down the end of our funnel, when somebody’s actually putting their credit card in to buy. And we were primarily testing buttons at the way front end of it and I think you said something like, and I was asking about that and you said, “Well, let’s not put so much pressure on poor little button.” And that always stood out to me and I’ve actually used that phrase a few times with our team. Is that kind of the dynamic that you’re talking about, where you’re trying to conclude too much at the beginning, rather than just referencing and understanding where the customer is at right now? Yeah, definitely. I mean, that button. I do agree still, the poor little button. I mean, it’s gonna get clicked, and all the marketers are gonna look at it like, “Okay little button, what did you do?” And it’s just there, it’s just there doing its job, being colorful and trying to get noticed. But the reality is that so much else has to happen on the page around it, so much has to happen before you even get there, right? Does the button … the button’s going to do its job. It will get people to click. Unless you make it gray and small, chances are very good you’re going to make it, it’s going to get clicked. Where do we put it? What do we say on it? I mean, these are the questions that I should be answering right now, but it’s like no, first we have to first ask the question, where does it go? What is it gonna say? Is it gonna be a call to action, to download a product or start a free trial, or is it, when do you need to have it be something more like download the ebook on this. 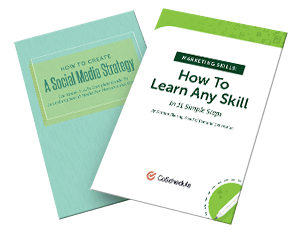 And people already believe they have these strategies in place, and that’s perfectly fine, but it’s just like, when you’re doing … If you’re doing a lead gen page and you have a button on there that says, “Download the ebook,” or whatever that is. And hopefully that’s not actually your button copy, we can talk about that. 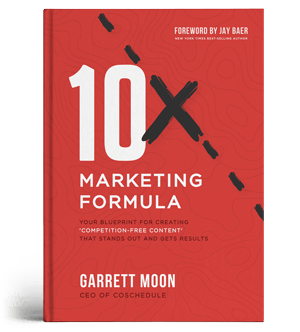 But if the goal is to get them to download the ebook, then I’m saying this is not a place where you need to throw a whole bunch of the fancy marketing tricks. What we need to do is identify what their problem is, put that on the page using a framework like problem match station solution, or attention, interest, desire, action. And only once we’ve moved them through the first part of that, like problem and agitation and in to solution, then we throw a button on the page. Not the top of the page. Not right away, unless that is a super short page. And samesies for attention, interest, desire, action. Clearly action only happens once you’ve got through attention, interest, desire and then down to action. So it’s really like, if we’re going to put this pressure on our button, and our button can bear the weight of that, but we do want to make sure that we’re pushing the best people toward that highly optimized button. That’s my whole flag [inaudible 00:16:13]. So why is download the ebook not a good text for button. Isn’t that telling the user, the visitor, exactly what you want them to do? Isn’t that good? I love that. I love [crosstalk 00:16:26]. [inaudible 00:16:32]. Yes. Okay, so we like to break buttons in to calls to value versus calls to action. So a call to action is something like that, like download the ebook. Which there’s a time and a place for that. And really, the time and the place for a call to action, is when you need to make sure that your prospect has no question about what’s going to happen, and that usually is like in cart. In cart, we have to have really clean, pure language on our button that is a pure call to action. So here is the act you’re going to take. You are going to add to cart. Okay, great. You’re going to complete purchase. Okay, perfect. Okay, this is the final step then, complete purchase? That kind of stuff needs to be a call to action. When we’re further away from the point of purchase, that’s where we talk about calls to value. So download an ebook, there’s not a lot riding on it, it’s not like, the prospect isn’t sitting there going, “Oh my gosh, is this the moment where it downloads? Oh my gosh.” That’s happening with the credit card stuff, because oftentimes you don’t know if you’re at the end of the cart or not. Or the checkout. But for calls to value, something that would come further away from where the credit card happens, those calls to value are where you’re thinking about what’s your prospect really going to get out of this action? So we don’t want to think about just taking the action, but the reason they’re doing it. So we of course test it on Crazy Eggs home page. They had show me my heat map, versus something … Start my trial I think it was. And show me my heat map way outperformed that. We had over on [inaudible 00:18:17], we did a test where it’s a headline and a button test at the same time, so that it’s not purely a button test in this case. But that was another call to value, where the button was show me outfits I’ll love, instead of start now. That was the control, I believe. And it dramatically outperformed the control. And that’s because it’s a call to value. What we’re really doing with a call to value is completing the phrase I want to … So that’s in the first person. I encourage everybody to test their buttons and their headlines in the first person. It’s always like, “What? That worked? How did that work? It feels like such a little trick.” But you’re getting inside their head and they really do, it does feel … Anyway, give it a test. So a call to value, when you complete the phrase I want to, is instead of the I want to download an ebook, or download the ebook. Well not really. I don’t really want to really. Who wants to? So what do I really want to do? What’s the ebook promising me? Has it promised me that I will learn how to create a content strategy in 10 minutes, like a back of a napkin content strategy or something? Then the button becomes I want to create a content strategy in 10 minutes. And then the button copy is, create a content strategy in 10 minutes. And you would test that, you want to make sure it does match what’s going to happen of course, but you test that as your call to value versus that call to action for download the ebook. Perfect. So do you change those calls to value or calls to action at all, by medium? If you’re looking at a blog post versus an email, social. Does any of that change your approach to those? Yes. So I don’t think that there are any hard and fast rules. I think that there are good, better practices. So if we’ve got this okay general better practice of having a call to value further up the funnel and a call to action further down, okay fine. Let’s take that, let’s suspend that in the air, let’s know that that is likely to be true. While we’re thinking of that and we’re about to put a button together, we’re always going to think about context too, right? This is part of user experience design, which is part of what conversion copywriters have to think about. And if you’re like, “Okay, what’s the context for this action, what’s the context for this engagement, then that is where you’d wat to modify, right? So if someone is on their phone, reading an email, your call to action might need to be something that is far different from me sitting at my computer reading that email. Doesn’t mean it will have to be. It means let’s think about that and if it has to be, then we have to solve it. And I do generally think that what it will break down in to, is this going to be a call to value or is it going to be a call to action? So just kind of a question on that ebook, let’s go back to that example again. We’re sending an email about that ebook, and then there’s also a landing page. Do you do the direct call to action in the email, is the call to action going to the page. Kind of break that down, how you would think through that. I know it’s a very specific example, but I think it would help make that point more. Yeah, totally. So because there are these two parts and I would start to of course think through what we’re doing with the stages of awareness here. This is where I would first go, and I’m drawing it out right now. I just took out a piece of paper, because there’s no way for me to break this habit. So you have an email that drives to a landing page. The email is about downloading the ebook, to get the interested in downloading the ebook. So download ebook there, then they land on a page where, you would imagine, somewhere on the top you would have something similar around to match that. They’re going to be downloading the ebook. Now which one actually gets the download ebook button. If it either of them, according to the better practice, the landing page would get the download ebook button. But the question really is, on the spectrum of stages of awareness, if we know what those stages are, we know where this person is, thank God for segmentation emails. If we know that they are solution aware, and our job is to get them to product aware, and the product basically, in this case let’s say is around the ebook. Now that’s gonna usually be true. The product is usually the product. Then we want to move them. Can we, I would start to question why we even land them on a page, why doesn’t it just download immediately, and I guess the answer would be, “Well we want to …” But why, because they’re already in email. So it sounds like the email is trying to get them … This is like a puzzle. It’s a great question right there, right? Why not just give the ebook right from the email? Unless there’s so much to tell them about, but it would have to be like, “Okay, well …” Maybe they’re just really unaware. So maybe the problem … And in which case the email doesn’t talk about the ebook at all. It talks about moving them from problem, like agitating their problem, and then telling them that they’ll find their solution on this landing page, right? So here’s your problem. You’ve felt this way before. You can’t do X. Agitate, agitate, agitate. Make them feel it, feel it, feel it. And then say, “Oh, well we went through the same thing too. We came up with a solution and we tested it and it works really well. Go here to see what that was.” That’s where they land on the landing page, that’s all about downloading the ebook that is the solution, I would imagine. Now this is not talking about the buttons at all, because what we just said, right? This whole question of, “Well, do we even need a second page to land them on?” You would need a second page if they were further up in the awareness spectrum. If they are not that aware. If they’re further down, like they’re very engaged and this is a topic you’ve covered before for your list, then they probably would not need to … They probably wouldn’t even need the ebook, depending. I guess it depends. Definitely depends, obviously depends. But yeah, it’s tough. These are not easy calls to make, even though it feels like they should be, right? Like they just want to download the ebook? Okay, just give them an email that tells them to download the ebook, or that drives them to the landing page. But the question is, okay how do we get them to care in the first one, enough in the email, enough that they’re going to click through and land on the next page and give a damn, so that they actually do download the ebook and read it, because it matters to them. Downloading it is probably not going to be enough. We have a [inaudible 00:24:49] business goal for that. So I know that’s a long, convoluted non answer to it, but I think what’s most interesting is that it’s not easy to answer that, even though it’s button copy and you would think that would be the easiest throw away copy you can come up with. And it just speaks to the need to really think through all of this stuff. So would you say that, and I’ll wrap things up here but I just kind of want to clarify this, when you’re starting to write call to actions and getting started, is that kind of the first thing you’d say to be aware of, is where is this person, based on whatever you’re publishing, if it’s a blog post, ebook, sign up page or whatever, in those five stages of awareness. Before you begin to go about those call to actions. Is that right? Absolutely, because the call to action is going to be the thing that moves them to the next stage of awareness. And so, that means that in certain cases, like again further up in the funnel, they’re not ready yet for a buy now option, to buy or to try. They’re not ready yet for it. So even if you want … If you were like, “Oh I want this landing page. This landing page has to get people ready to buy. They have to finish this page going, ‘Okay yes, I’m going to buy. I’m at least going to start a free trial or I’m going to bank on the 30 day money back guarantee.'”. If that is the strategy, if that is the mission that we’re on, then that means we need a long form sales page in most cases. Because you have to move people from, let’s say, if we can identify where they’re starting, let’s say they’re starting in solution awareness. A lot of them are solution aware, we need to get them all the way from solution to product to most aware, and then we tack on this extra long [inaudible 00:26:30] with high intent. We have to move them all the way through that, and you can’t do that in a short page. This is where you’d have to start the page … It’s a long form sales page. So we have to think about the call to action before we can think about really … First call to action, like where the business needs them to be. Second, where they’re actually starting from. And then map those against your stages of awareness spectrum. Turn it on its side, because a spectrum is usually horizontal. If we flip it on its side and its vertical, now we’re looking at the length of the page that we actually need to have. Nice. Well, I think we all have some buttons that say download this ebook, that would need fixing. So I think we’ll end it there. I know I do. Well, thanks for your advice Joanna. That was outstanding. I think we could go on for hours and there’s a lot to learn and I think you have lots of resources and stuff to do that. So maybe share with our listeners where they can learn more about conversion copywriting. Sure. Thanks Garrett. Yeah, absolutely. Over at copyhackers.com, we have a pretty active blog with lots of studies on there and such, so head on over to copyhackers.com and you can always … We do tutorial Tuesdays as well, every Tuesday. It is live training on something just like, “Okay, you want to write a button? You’re thinking about it? Here’s how we do it.” So check those out as well, but it’s all over on copyhackers.com.